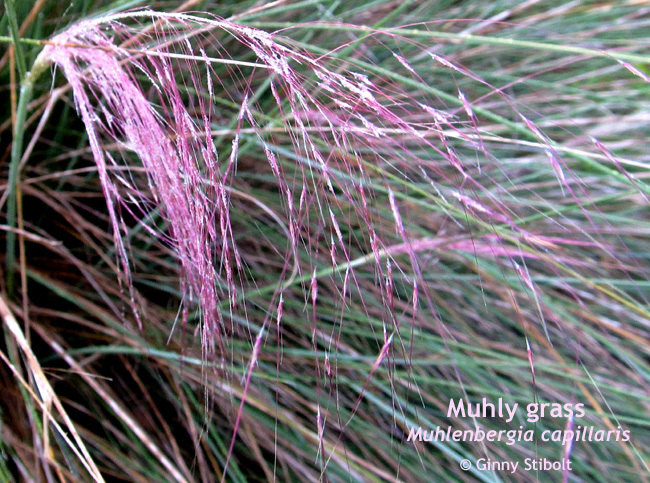 It's most widely sold as just Mulenbergia capillaris, but there are actually three varieties of this species. 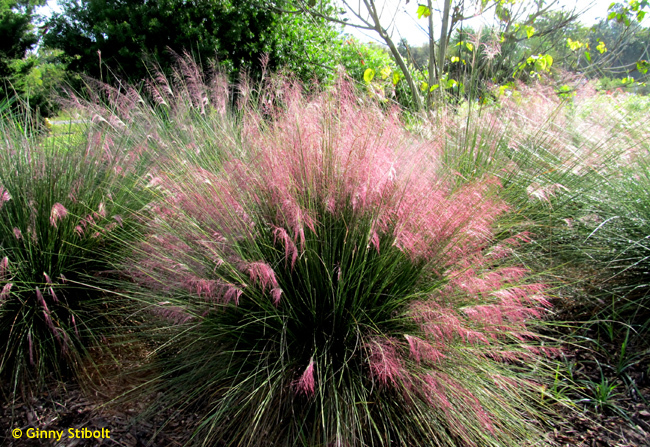 The other species native to Florida is M. schreberi or nimblewill muhly. 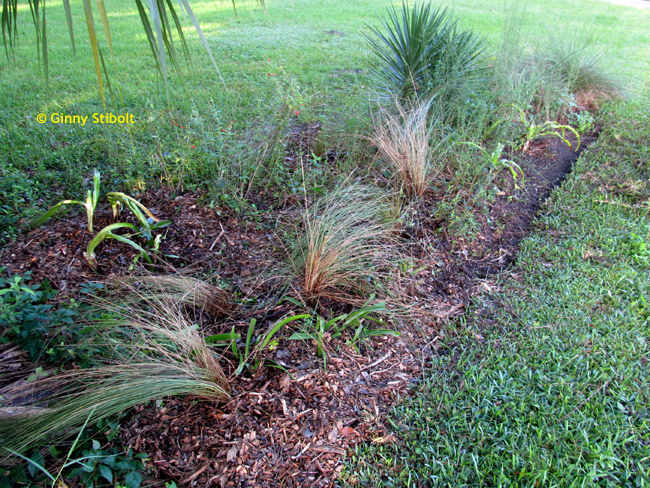 Any of these are good choices for your landscape, but if you have a choice, choose one with its native range surrounding your location. See the Mulenbergia genus page on The Florida Plant Atlas to see the various ranges, but all the species and varieties pretty much cover the state. Muhlenbergia was named after one of the first early-American scientists, Gotthilf Henry Ernest Muhlenberg (1753-1815). 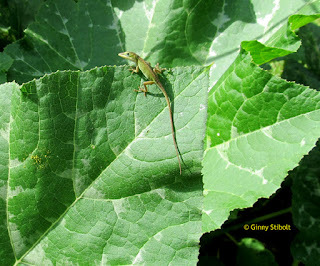 He became interested in botany while hiding from British soldiers during the Revolutionary war. 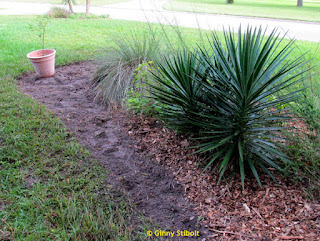 I needed to move a big clump of muhly grass that was getting too close to a Yucca plant as both the yucca and the grass had expanded. So it was time to multiply by dividing. After digging out the whole bunch of grass, I grabbed sections of the plant and gently pulled them from the bunch. You could separate them down to single plants, but I planted these bunches so they'd make a bigger impact in the landscape sooner. Spread the roots out as far as possible in the planting hole. just below the soil level. 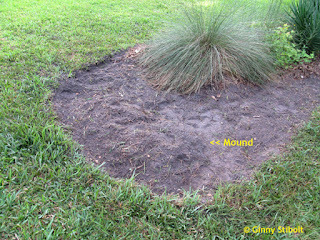 When planting the new clumps of muhly grass, it's best to clear the area and then scrape out a shallow but wide planting hole, so you can spread the roots out in every direction. 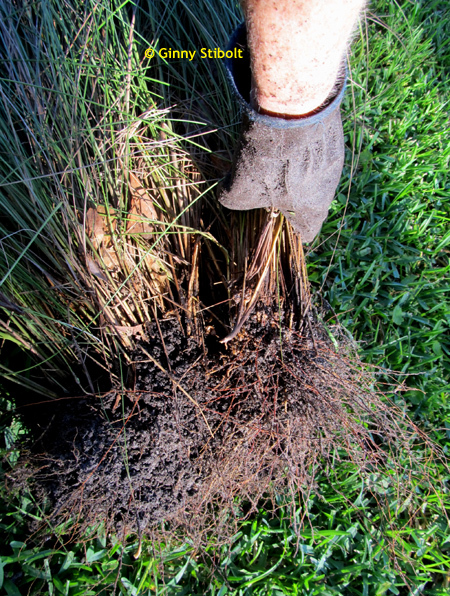 Cover the roots with soil and pat down so the grass is stable. 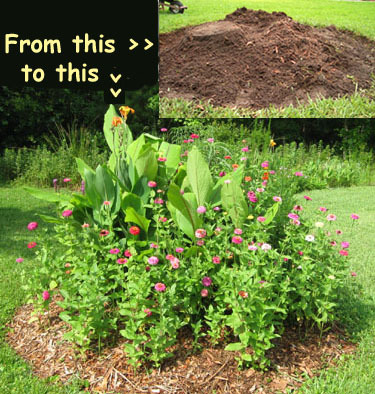 Add about an inch of mulch on top of the soil. Irrigate liberally after planting and for the next several days. Then gradually cut back on the watering over the next few weeks. 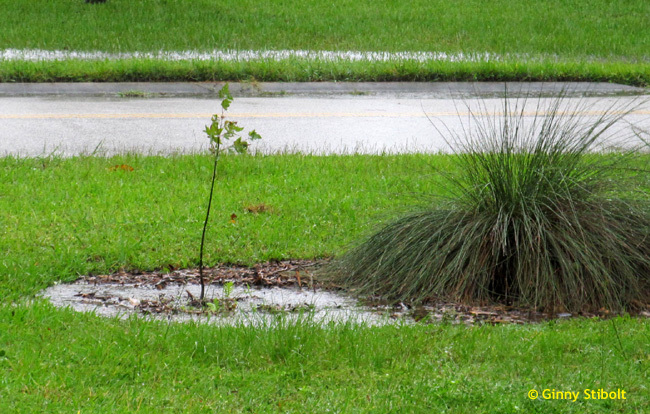 The grass may flop over since it was use to being in a larger bunch, but as long as it's vertical at its base, it should be fine and as new shoots grow, they will have the necessary stiffness to stand up on their own. Newly planted grass bunches. Note: that I alternated them so they'd not be in a straight line. 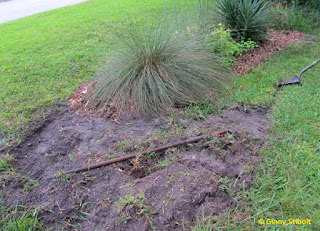 A fence used to run along this side of this bed, but now that it's gone, having more muhly grass along this street-side edge will give a more finished look. You may recognize this bed from a previous post "When you plant a tree, you believe in tomorrow." 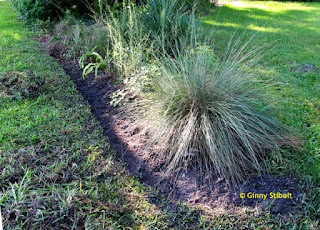 I'd planted a red maple at the end of this peninsular bed out into the lawn to provide a better anchor--again since the fence is gone, the bed needed more of a reason to be here. Muhly grass and rice-button asters (Symphyotrichum dumosum) bloom at the same time in the fall. While I'd planted the grass, the asters planted themselves. 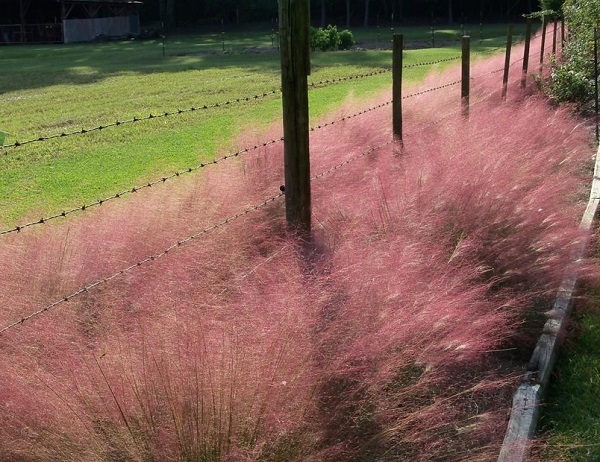 The troublesome areas next to and under fences is solved beautifully by muhly grass. 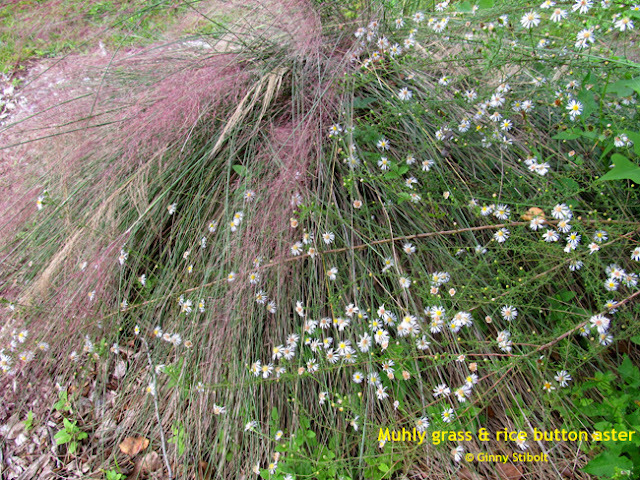 I hope you have or will plan to have more muhly grass in your landscape. 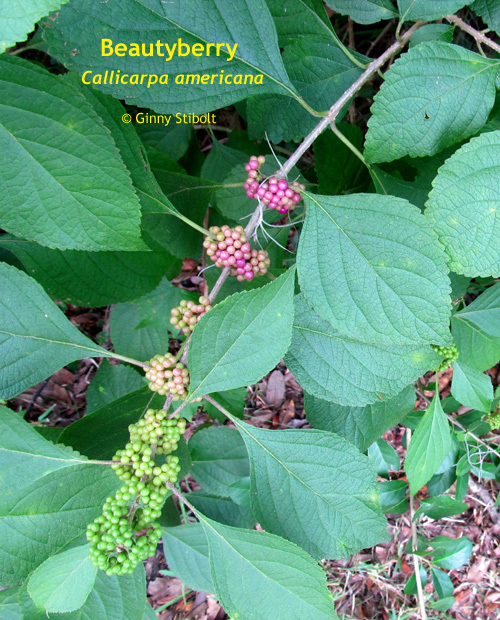 Most people find the distinctive scent of this plant to be sharp, but pleasant. Both the flowers and leaves of rosemary are traditional ingredients in the "Herbes de Provence" mixture. Rosemary is often used as the center of a "bouquet garni" in which several herbs are tied together or placed in a cheesecloth bag and are cooked in a soup or sauce, to impart their flavors, then removed before serving. A rosemary sprig is often used as a garnish on roasted meats. You can even use a sprig of rosemary as a brush to paint on the sauce when grilling foods and you could also try burning some rosemary in the grilling fire, which creates beautifully scented smoke. Pollinators love the pale blue rosemary flowers. In addition to planting it in herb gardens, rosemary is often used in general drought-tolerant, full-sun landscapes in Florida. 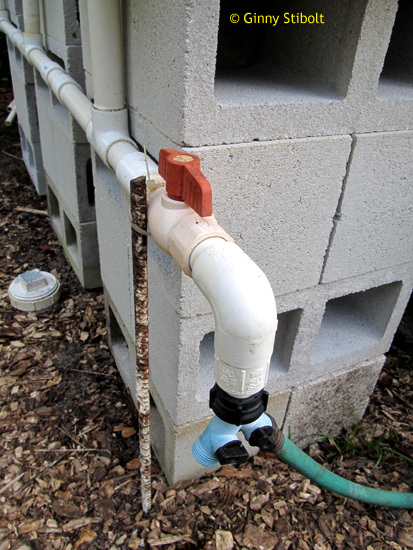 It prefers a slightly alkaline soil, so use shells, chunks of cement or limestone in the soil where you plant it. 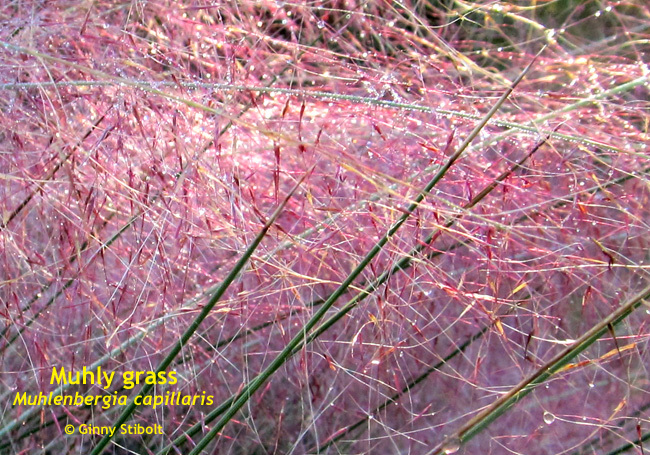 Normally it's a multi-stemmed shrub reaching up to six feet tall and four feet wide in ideal conditions, but there are also upright, single-stemmed varieties and recumbent types that serve as a groundcover. It can be trimmed into a short hedge or allowed to grow freely. 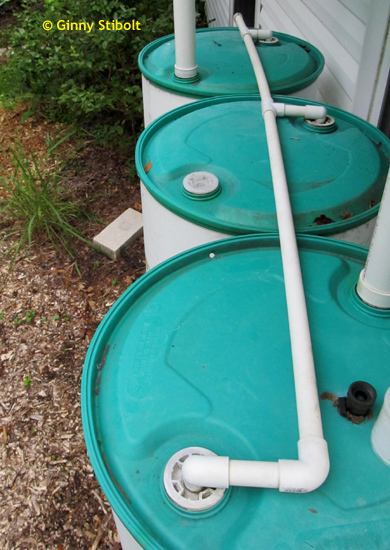 Once it's established in the landscape, rosemary will not require any additional irrigation, but if it's grown in a container, some irrigation may be necessary during droughts. 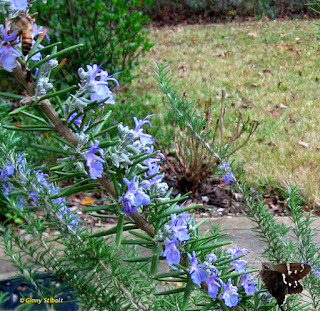 Because it blooms in the winter, rosemary provides a good source of nectar for those occasional warm days in winter when solitary bees and other insects come out to forage. If you look at rosemary when it's not in bloom, you may wonder how it ended up in the mint family, but once you see those bilateral flowers with a double upper lip and an extended lower lip, it looks like any of the other mint flowers. Flowers are usually blue, but some cultivars have pink or white flowers. Whatever their color, winter flowers make a good addition to your landscape. 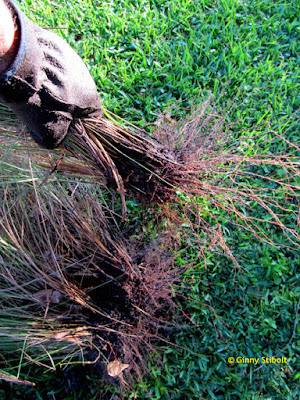 You can easily propagate rosemary from a soft-wood cutting by stripping off the lower leaves, dipping the stem into rooting hormone, and then planting in sandy medium. 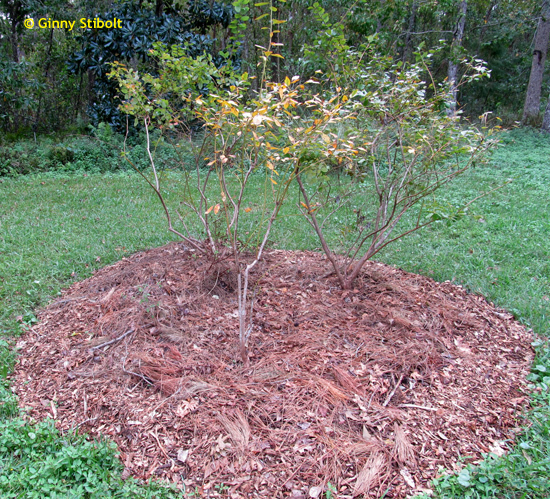 Or if you have a multi-stemmed shrub, you can probably find a branch that has lain on the ground long enough to have developed roots which can then be cut from the shrub and replanted. Seeds germinate slowly and the offspring may not resemble the parent plant. 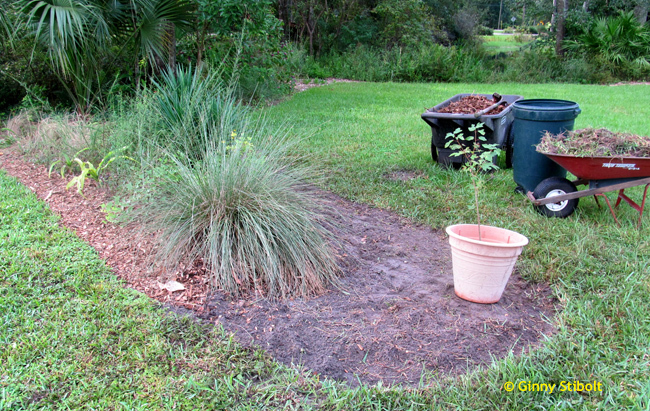 For instance, a seed from a recumbent rosemary plant could grow into an upright shrub. Rosemary is steeped, as it were, in Christmas tradition, and would have been a native plant in the Middle East two thousand years ago. The rosemary legends revolve around Mary's draping of a garment over the rosemary plant. One version tells that during the Holy Family's flight to Egypt, Mary draped her blue cloak over the shrub and its white flowers turned blue. Another version says that after Mary hung the Christ Child's garments on the bush, it was given its pleasant aroma as a reward for its service for the Child. In the middle ages it was traditional to spread rosemary on the floor of the home at Christmas to release its fragrance as it was tread upon. It also had a reputation as being offensive to evil spirits and as a disinfectant to ward off illnesses. 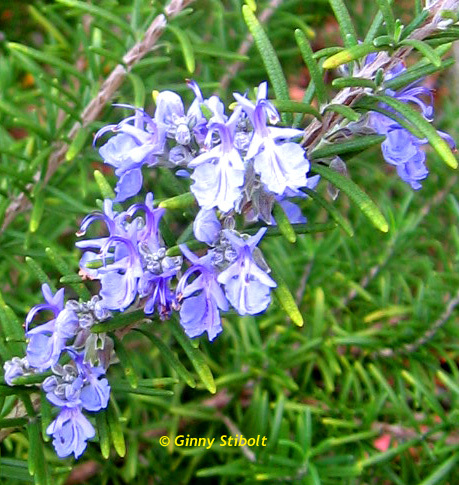 Rosemary also symbolizes remembrance. When used at funerals, it's thrown into the grave and given to the grieving relatives as a sign the deceased would not be forgotten. It also came to represent friendship and fidelity and was traditional to weave it into brides' bouquets and grooms' boutonnières to remind participants of their vows. Rosemary has been immortalized in the song “Scarborough Fair” with the unforgettable lyrics: "Parsley, sage, rosemary and thyme…" Shakespeare made several references to rosemary in his works: King Lear, Romeo & Juliet, Hamlet, The Winter’s Tale, and Pericles. 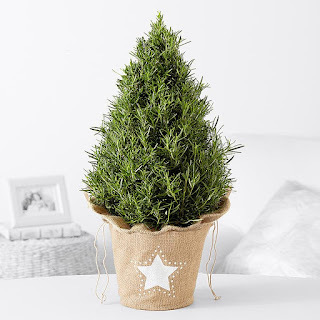 Using a trimmed rosemary shrub as a Christmas tree is a great choice as seasonal decoration because it continues to be useful after the holidays. 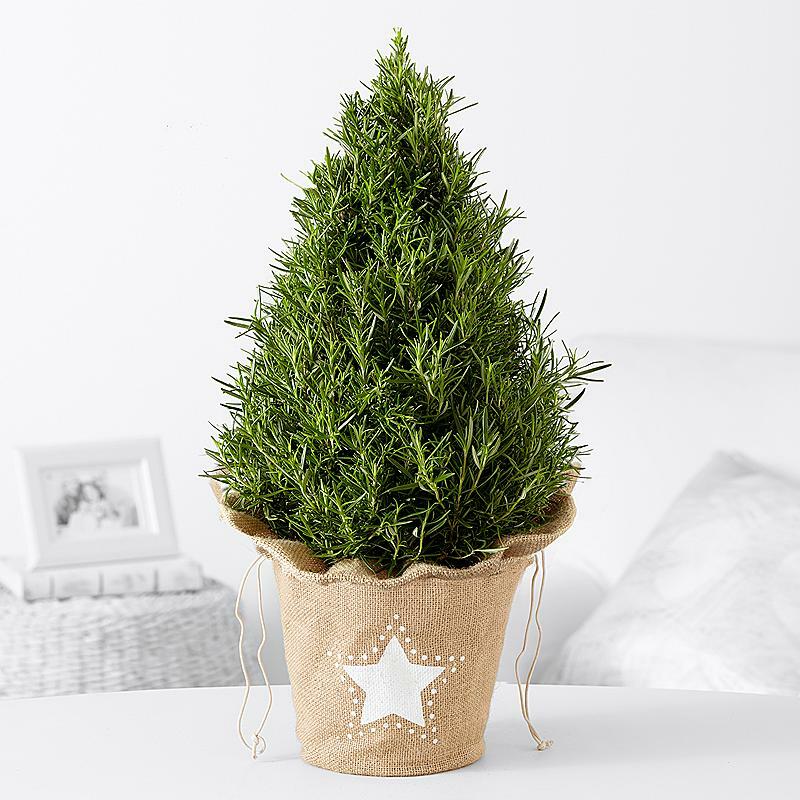 If you get a rosemary Christmas tree topiary, it will probably need some attention before you bring it inside or put it out on the front step for decoration. Before this plant was placed in the store for sale, an upright, single-stemmed variety rosemary was planted into that pot three, six or even nine months previously and grown in a greenhouse or sheltered environment where it was well-fed and well-watered to induce fast growth. As the plant produced branches, it was sheared back--probably two or three times--to form a cone. 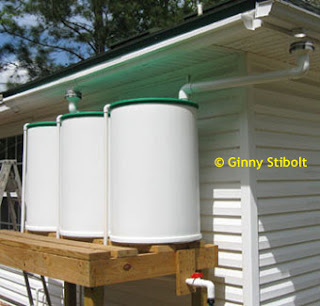 By the time you receive it, the plant may be pot-bound and it may have had spotty care (either over-watering or under-watering and probably low light) since leaving its greenhouse environment. In other words, your rosemary Christmas tree might be greatly stressed. 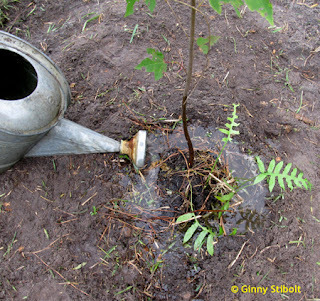 Ideally, you should repot the plant as a precautionary measure, whether it's been over-watered or under-watered. But if the soil is really wet and smells bad, or if the roots are rotting, the plant definitely needs to be repotted. 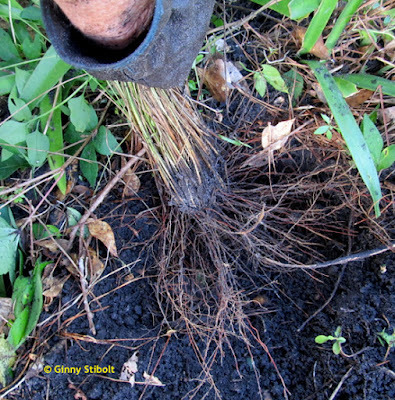 If the plant has been under-watered or is root-bound, repotting is a good idea as well, because the soil left in the pot is spent. 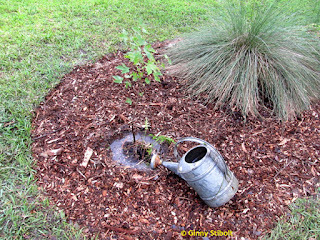 If you decide not to repot and the soil is dry, at least soak it well in a tub or bucket outside before you bring it inside. 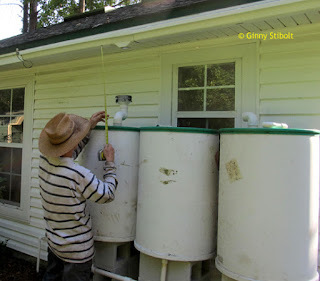 Let it dry out in between soakings, and soak it again in ten days or so. To repot, rinse away all the soil from the roots and re-plant it into a pot at least as big as its original. 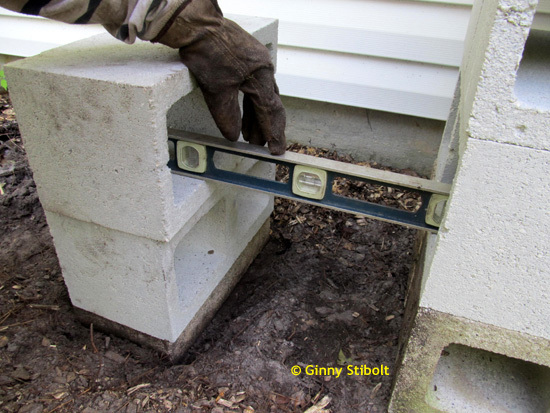 The potting soil should be on the lean side with 1/2 sand, 1/2 compost, and some limestone or cement gravel mixed uniformly through the pot. Don't use a layer of gravel in the bottom of the pot because it impedes drainage, but do cover the bottom with some leaves, a screen, or fabric to keep the soil from leaking through the drainage holes. Spread the roots out and don't plant it any deeper than it was in its original pot. Soak it well before bringing it inside. When the holiday season is over you can plant your topiaried rosemary in your yard, but it will probably not retain its conical shape for long. 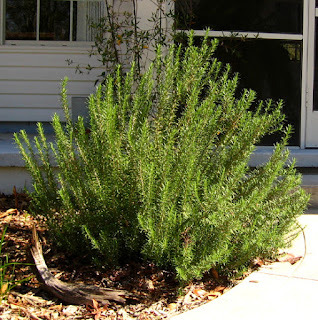 If you plant a new one each year, you can create a wonderful rosemary hedge around your herb garden or create a grouping anywhere you'd like easy-care, drought-tolerant shrubs. 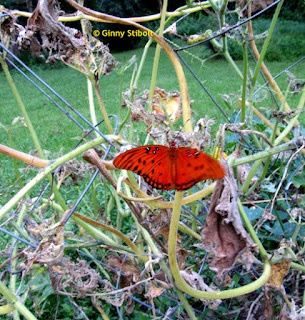 Then enjoy your scented garden and your winter butterflies and bees. 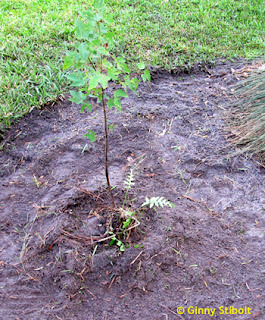 The new blueberry bushes were small when I planted them. We've enjoyed the crops over the years. more shade now than in 2009. 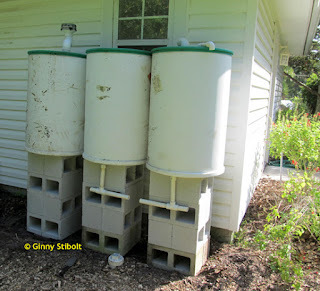 I'd planted them in this protected position to protect them from heavy frosts. Over the years, we and the birds have enjoyed the berries. 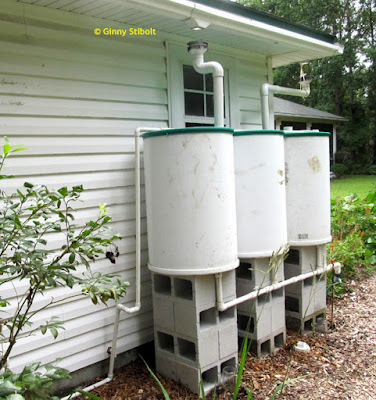 They've grown a lot since 2009 and for several reasons, it was time to move them. The sweet gum roots were out-competing the blueberries. 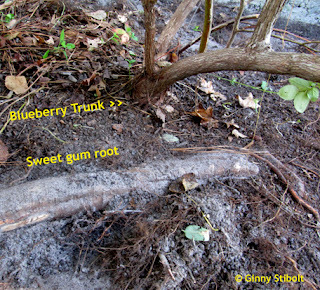 i dug under the sweet gum roots to dig out the blueberry shrubs, especially the 2 that were closest to the trees. 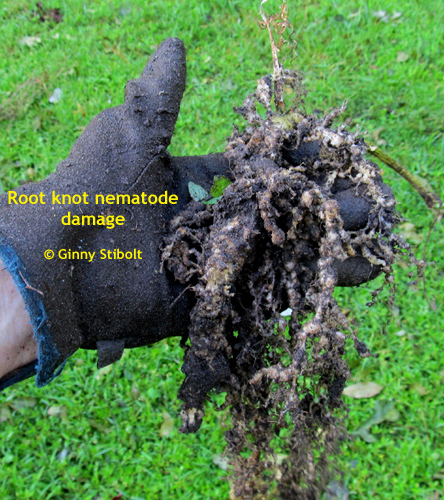 The sweet gum roots were a problem. 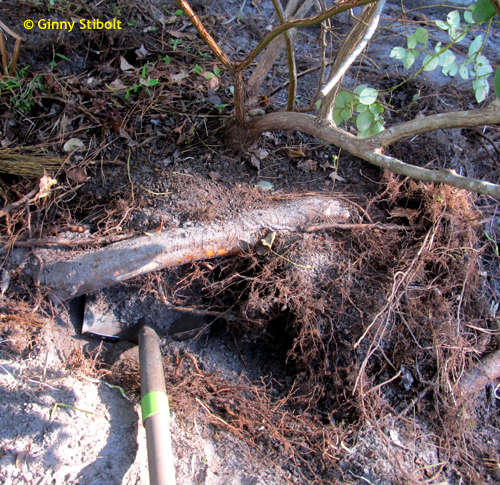 I didn't want to damage these big roots, but at the same time, I wanted to preserve as much of the root mat around the blueberry trunks. Scooping the soil out from under the big roots and the shrubs worked fairly well and I was able to keep the blueberry surface roots together. 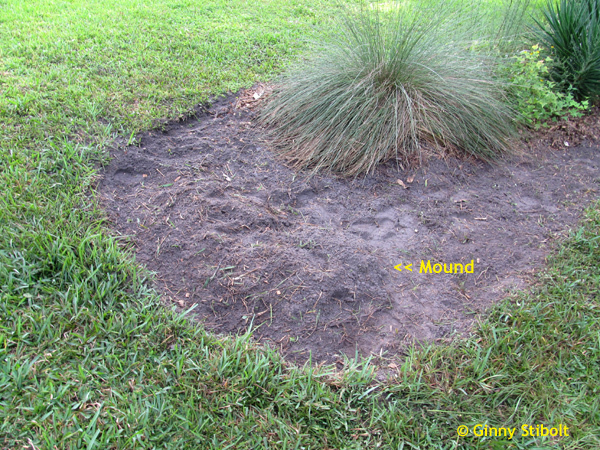 I carefully transported them to their new location out on the newly enlarge mound. Once I got the 2nd and third shrubs out there, I saw that I needed to expand it even more. 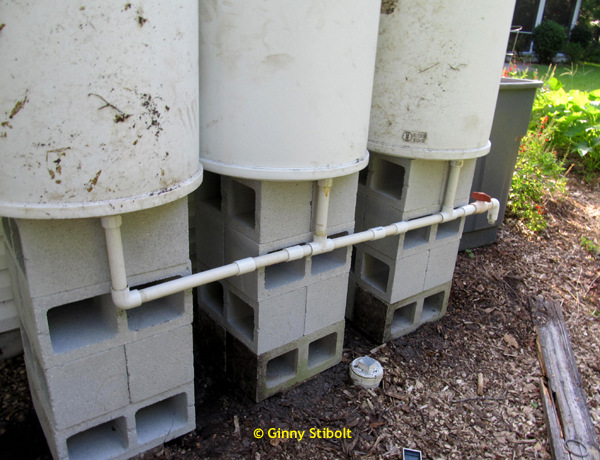 I ended up using the whole compost pile for this project, which is fine because the blueberries will appreciate the rich soil and they will be happy to get away from the alkaline environment near the cement foundation. 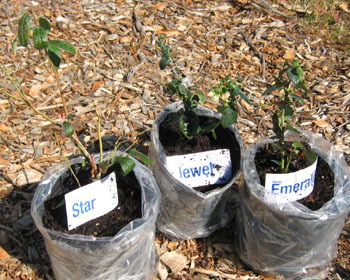 Blueberries like an acid soil and now they won't have so much competition for water and nutrients in their new spot. 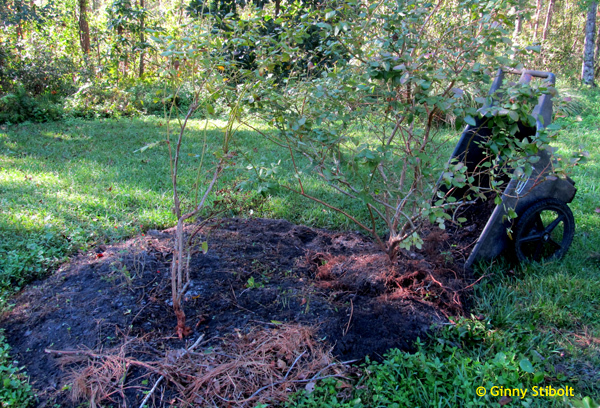 I was able to keep the root mat around the shrubs in tact. A good thing for their survival rate. 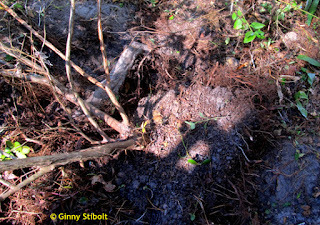 Adding more compost to expand the mound to accommodate all three shrubs. After planting and the addition of many gallons of water, I used a whole load of arborists chips around the new edge of the mound, making sure to create a nice level surface for easy mowing. The mowing will also be easier out here now that the wettest area is under the new portion of the mound. 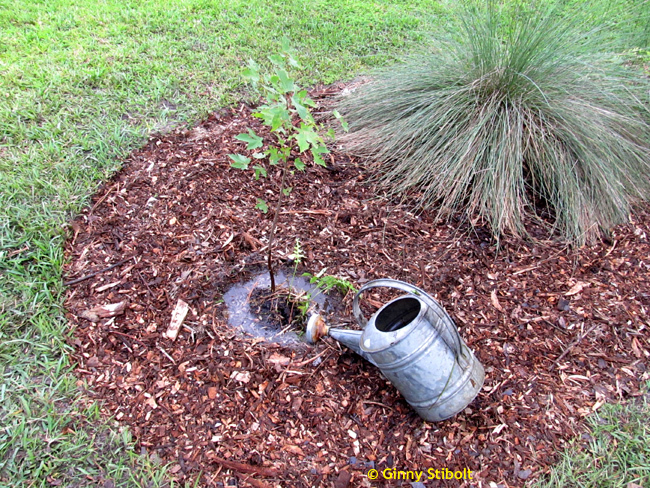 The final touch is a nice pine needle mulch. 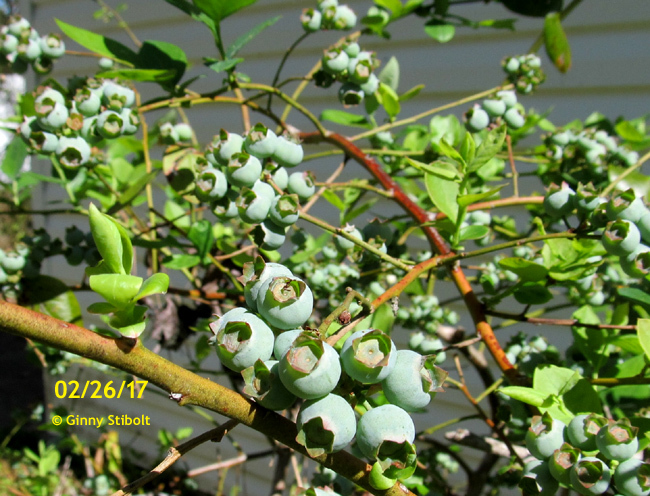 Fall is a reasonable time for transplanting shrubs in general and after several days, the leaves did not wilt at all, so I must have provided enough irrigation for the blueberries. However, there's a good chance that even though the flower buds have been formed, that they will drop the buds and not flower to save their energy for new root formation. 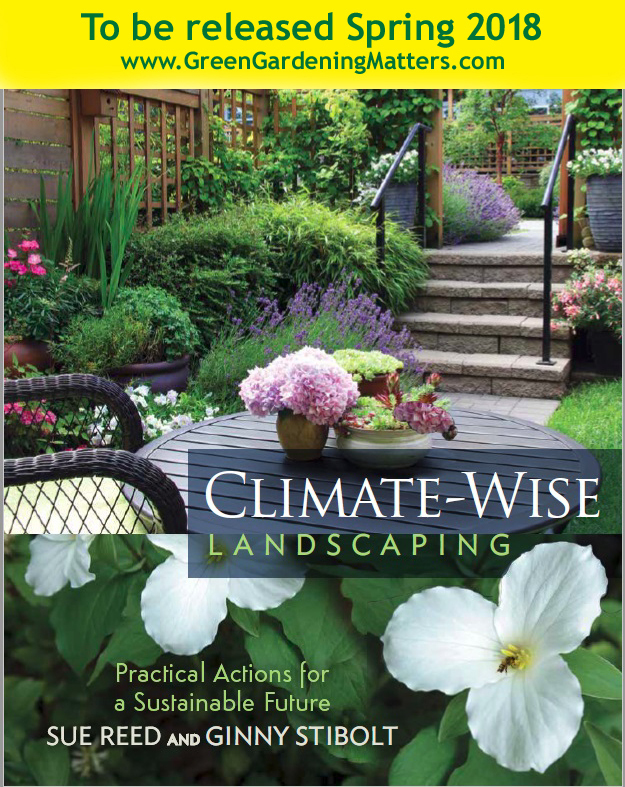 I hope you are enjoying the cooler weather for some of your landscaping projects. to actually mitigate climate change. It will be published in Spring 2018 by New Society Press in BC, Canada. 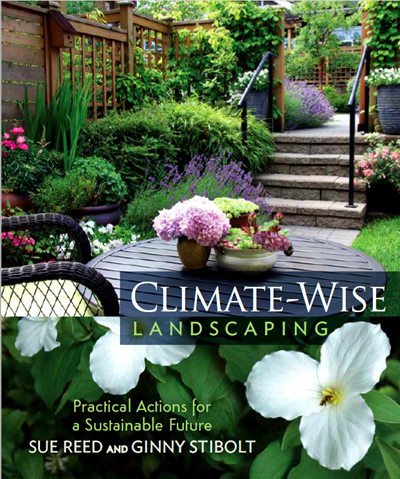 In 2010, Sue also wrote the award-winning “Energy-Wise Landscaping” also published by New Society Press. 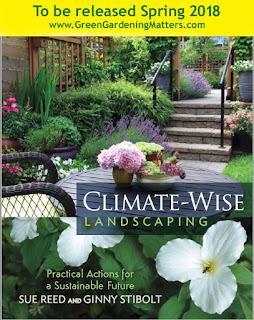 Pre order a copy from Sue at www.climatewiselandscaping.com. Thanks. A female flower with one of its pollinators. Note the other fruit in the background. 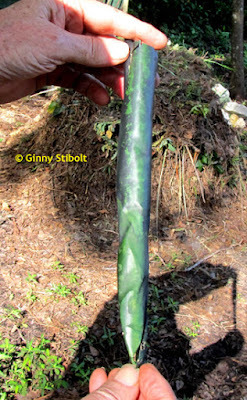 Only 6 days later that same fruit has grown to 12 inches long. It eventually had a rounder bulb at the bottom, but it "only" grew another 2 or 3 inches in length. 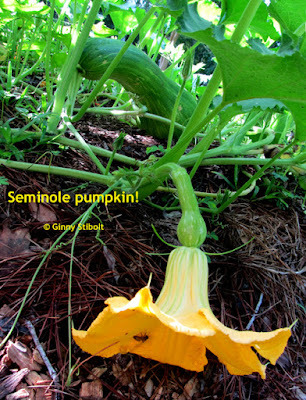 This is the first year I've grown Seminole pumpkin (Cucurbita moschata) and what a nice surprise. I bought them from Southern Exposure Seed Exchange. Back at the beginning of June I posted Squash family on the menu when we had lots of different members of the squash family doing well, but soon after that most of them faded with the heat of summer, but not these. They had just gotten started back then and grew even faster and more vigorously into the summer. 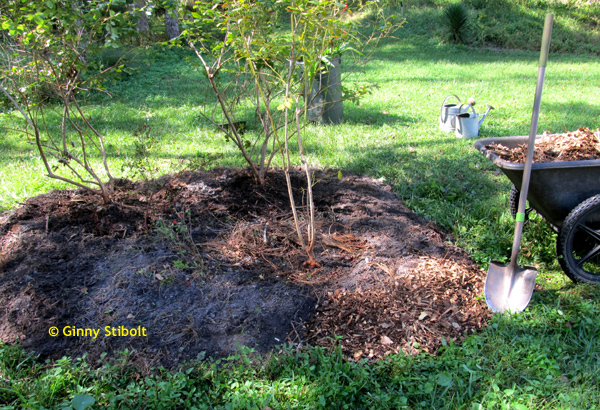 The 3 vines took up the whole 5' x 18' bed and each day I walked the perimeter to direct new growth back into the bed. The skin on the fruit is thick so it withstands attacks from worms and from rotting, so there were no problems leaving them on the vine to ripen. The last harvest on Sept. 1. The flowers are 6" across and there are many more male flowers than female flowers--the ratio was probably around 5 to 1, but this leads to many many pollinators buzzing around so all the female flowers were fertilized and grew into full-sized fruits. There were 2 different shapes--a squat, pumpkin shape and a larger long-necked shape. 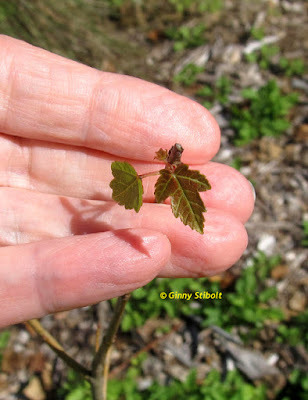 I read that different shapes can grow on the same vine, but I did not try to verify this. The tangle of vines was too great. 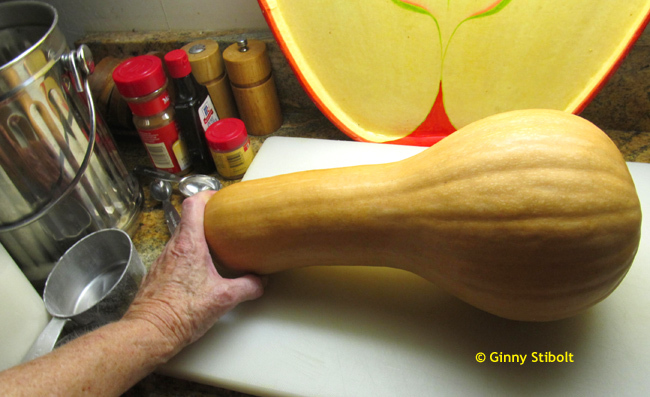 The long-necked fruits weighed between 4 and 5 pounds and that's a lot of squash to use. 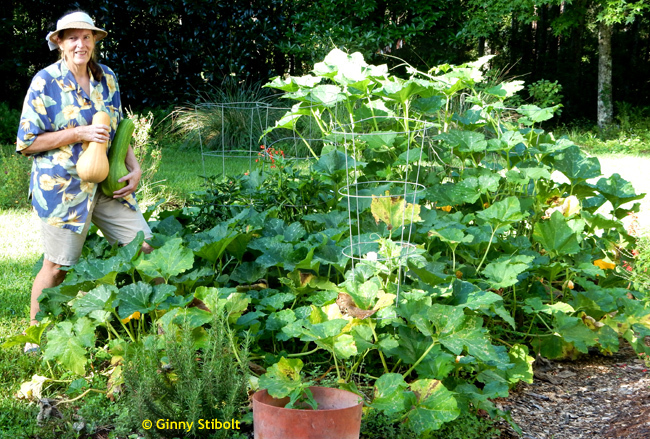 This vigorous squash is native to South America, but it had been traded northward by indigenous peoples up into Florida and was present before Europeans arrived. It is not considered native to Florida in its profile on The Atlas of Florida Plants. Even though presence of a plant before the Europeans is one test of nativeness, it's not in this case because it had a known history of importation and it never really established itself in natural areas according to Bruce Hansen one of the curators of the website. 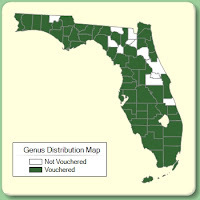 If you look at its widely scattered distribution, today in Florida, this has the mark of an introduced species rather than a natural population. I'm sure the indigenous peoples and later the Seminoles appreciated this heat loving squash. I harvested about half of the pumpkins while they were still green, which I used for soups, in salads, in pumpkin burgers, and for breads. The ripened fruits turned a dark, rich tan and the fruit at this point is sweeter and is more suitable to roasting (in the oven or on the grill), stir fries, pies, and other pumpkin-type recipes, but I also used ripe pumpkin in the soup and salads, as well. I used the grated fruit (both ripe and green) raw in various types of salads (pasta, potato, tossed, and tuna) where the fruit added bulk, texture, and a slight taste tone. I have frozen quite a number of 2-cup portions of grated pumpkin for future use in bread and other uses. 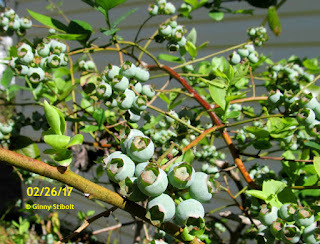 I prepared seeds for eating from both green and ripened fruit--the ripe seeds are much better. For the pie I chose a ripened pumpkin I just cooked the bottom part of the pumpkin and used the neck for other dishes including a pasta salad and the quiche (below). I also prepared the seeds. 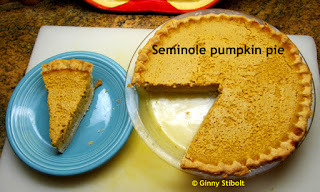 It's Seminole pumpkin pie time! 1. Microwave the pumpkin flesh-side down in a glass pan with 1/2" of water for 15 minutes or so. It should be soft. 2. 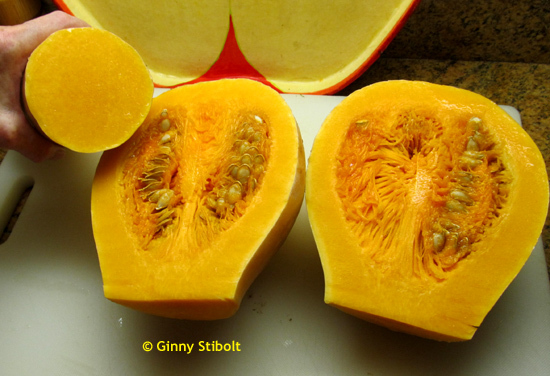 Cool, then scoop out the squash and puree it in a food processor. You should end up with about 3-1/2 cups of puree. 4. Pour the filling into the baked pie shell (pour the excess into oven-proof dish for baked custard). 5. Set the pie on a cookie sheet to catch any spills. Bake 15 minutes then reduce heat to 325°F. Bake another 45 minutes to 1 hour. The pie is done when a knife inserted an inch or more in from the edge comes out nearly clean (the center will still be soft). 6. Cool at room temperature for at least 15 minutes. Chill if you are holding it more than a couple of hours. Best served at room temperature. 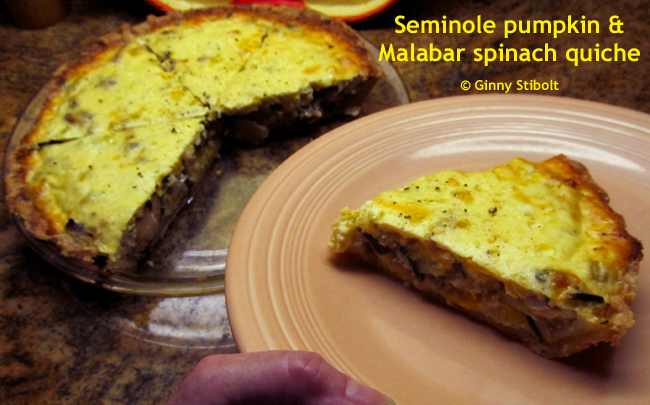 Toward the end of summer, Malabar spinach is plentiful and serves quite well in this dish. Prepare the pie crust before you start, even a day or two before is fine. Place onions, mushrooms, garlic in a pre-heated skillet coated with olive oil. Fry over medium heat until onions start to brown then add the garlic chives and Malabar spinach for only a minute or so. Reduce heat and add the wine to mixture to clear the glazed onions from the bottom. When the liquid has evaporated, remove from heat, and set aside. Whisk together eggs, yogurt, and parmesan cheese until combined. Add fresh ground pepper. Lay a thin layer of the shredded cheese in the pie crust, add the pumpkin, and then evenly spread the fried mixture on top. Add the rest of the shredded cheese. Pour the egg mixture on top. Poke the egg mixture with a fork so that it settles into the layers. Sprinkle more parmesan cheese on top. 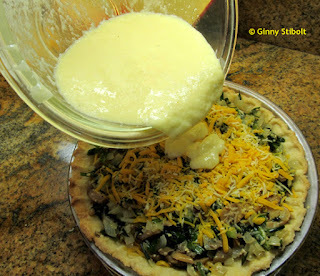 Bake the quiche until it is golden brown on top and the center is firm. Depending on your oven, this will take anywhere between 45 minutes and 1 hour. It's a good idea to place a cookie sheet under the pie to catch the drippings. Allow to cool for 5 to 10 minutes before slicing and serving. 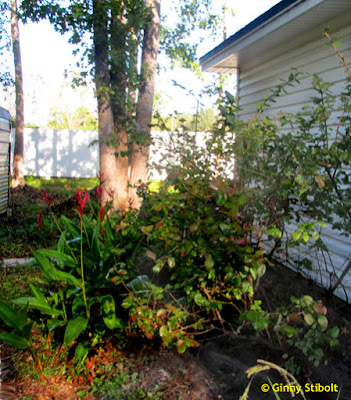 The vines died back quite suddenly. The roots at the base of the 3 vines were filled with root knot nematode damage, but the roots that sprouted along the stems were not infested. It was a surprise to see how fast these vigorous and bountiful vines died. 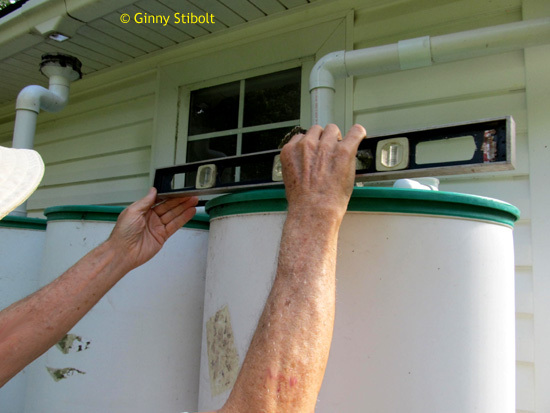 It began just before hurricane Irma, but after the hurricane they were totally gone. 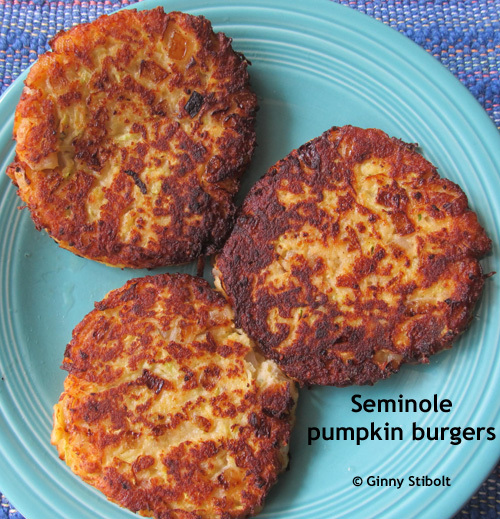 We still have several pumpkins in a paper bag at the bottom of our pantry and people say they will keep a year because of their thick skins, but we have found so many uses for them that they will not last beyond Thanksgiving. In doing the research for "Climate-Wise Landscaping" one of the two books of mine that are coming out in Spring of 2018, I found a study that shows that every pound of food that you grow or obtain locally offsets up to 2 pounds of greenhouse gas emissions. 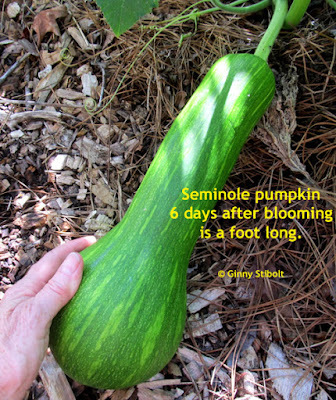 I grew so many pounds of pounds of Seminole Pumpkins that the world is surely a better place now. 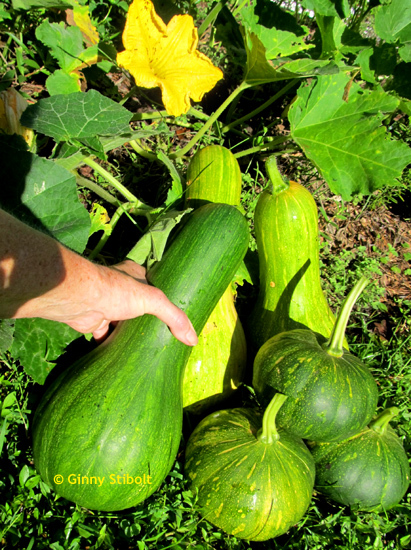 I hope you try growing this bountiful crop and stay tuned for news on my new books and my fall 2018 book tour.